Being a newbie blogger can be tough sometimes, getting your name out there, trying to work with brands and what not. I blog because I love it. I love the creativity side of things as well as the nerdy HTML side of things. I find blogging to be very therapeutic and since starting my blog my love for writing has returned. Aside from actually blogging, the one thing I love most about my blog is the opportunities it has brought me. I have met so many AMAZING people since starting the blog almost a year ago. Such talented kind people who I'm proud to say are friends. For me, being a relatively new blogger, building that support network has been essential. If ever I'm lacking inspiration or feel as if no one is reading the blog etc. I have such wonderful people supporting me. P.R Contacts - Ever hear the phrase 'good for you not for me'? I've recieved lots of emails in the lsat year from companies wanting me to do blog post about their products. 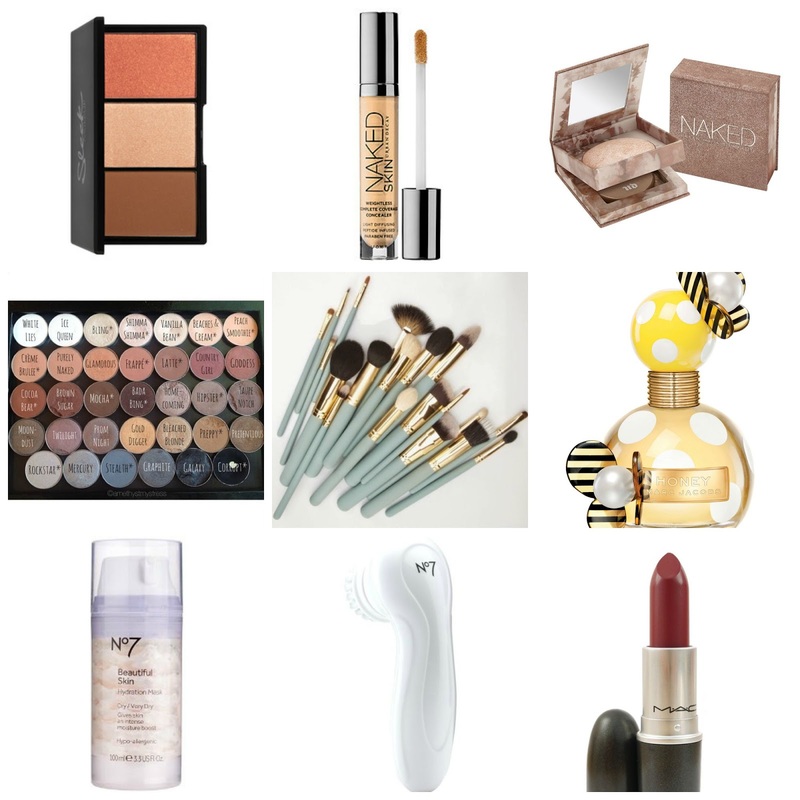 Not all of these products fit in with my blog however, so whenever one of those companies come calling, I always politely decline but recommend a few bloggers who's blog would fit in more with that brand. Also after working with some brands, I've often recommended some bloggers saying simply, ' ____ really loves your brand too if you're looking for more bloggers to review products'. Simple but helps your fellow blogger out. Facebook - So everyone and their mother know that if your run a Facebook 'like' page, no matter how big your audience is reaching your audience is extremely difficult without spending your hard earned cash. One simple way around it is having great engagement, ie. the more likes and comments on post, the more people see that post. SO I always try to like lots of other bloggers Facebook posts and comment on as many as I can on a daily basis. A lot of the time, those bloggers will return the likes and comments. Win win for everyone! Shoutouts - Every Friday I do a #FF on twitter, this means Follow Friday. It's basically a small shoutout to some of my favourite people on twitter that week. By tagging them, my audience gets to see new bloggers and if they like them, follow them. It's also just a nice thing to see on a Friday. I also do a monthly feature in which I talk about 4-5 of my favourite bloggers and YouTubers of that month, introducing them to my audience, telling people why I love and follow their blogs. I haven't done this in about two months but I'll be back at the end of the week with this months! Share Content - This is kind of echoing my last two points, but everyday on my Facebook I share at least one post from another blogger, again showcasing their blog to my audience. I also retweet lots of blog posts on twitter on a daily basis too. This is so simple and takes only a few minutes, but you'd be very surprised on the effect it will have for your fellow bloggers. Interact - Again so simple! If you are part of any blogging groups and someone needs help with something, try and help them. Interact and just talk to them. If you ask any successful blogger what they love about blogging, they'll tell you that they love they people they've met through it. Our community is so essential to all of our blogs, so interact and make friends! 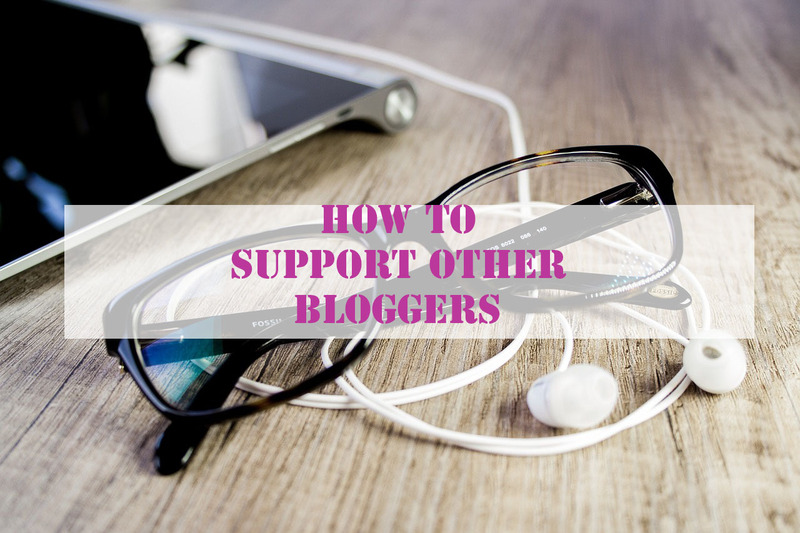 What other ways do you support your fellow bloggers ? 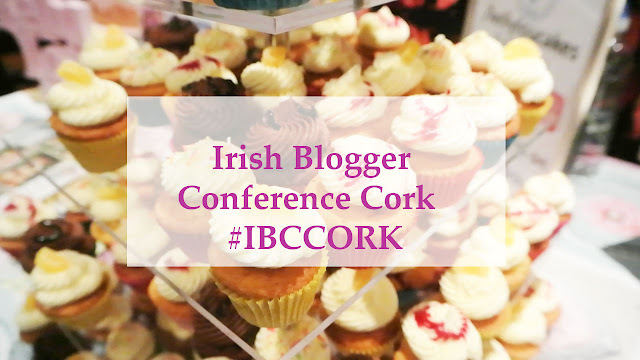 So as you've probably guessed by the title, I went to the Irish Blogger Conference in Cork last Saturday! It was a tremendously successful day and I had so much fun. I met up with loads of bloggers that I'd met previously which was really nice because I rarely get to see them offline. I also got to meet some of my favourite bloggers for the first time such as Aisling from Total Makeup Addict and Sue from Cherry Sue Doin the Do ! The event was packed with lots of amazing speakers. I learned so much from them all and felt so inspired afterwards. Each speaker brought something new and different to the table so by the end of the day, there was very little that wasn't covered. There was also an open Q n' A with a panel of fashion and beauty bloggers. I really liked this because everyone was very honest with their answers. I did vlog the day and I've left the video down below so that you can have little look. If you're a blogger or thinking of starting a blog, I'd definitely recommend going to one of these conferences. I think there's another one soon enough in Dublin. If you want any information on the events just tweet @IrishBloggerA and they'll tell you everything you need to know! Have you been to any really good conferences or events lately ? Have any of you been doing any Autumn hauling ? If you haven't got it by now from all my autumnal posts this week, I freaking LOVE autumn! I love so many things about Autumn, many of which you can read here. One of my favourite things however is the change in fashion. Out with all the sandles and sundresses and in with warm boots, over-sized jumpers and scarves, lots of scarves! I haven't yet gotten around to doing my fall haul yet but when I do I'll record a video and show you all. 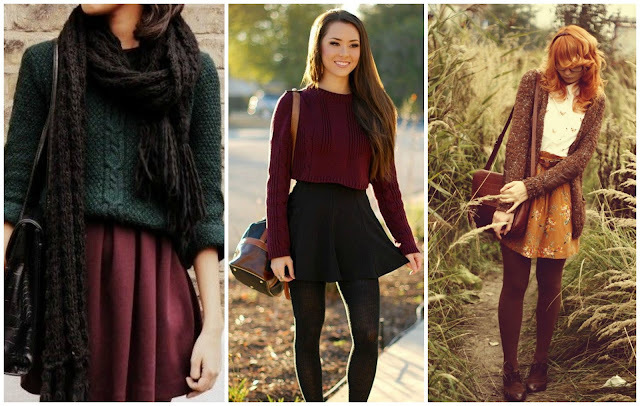 I am so excited for Autumn fashion and I thought I'd share some Autumnal fashion inspo with you all. 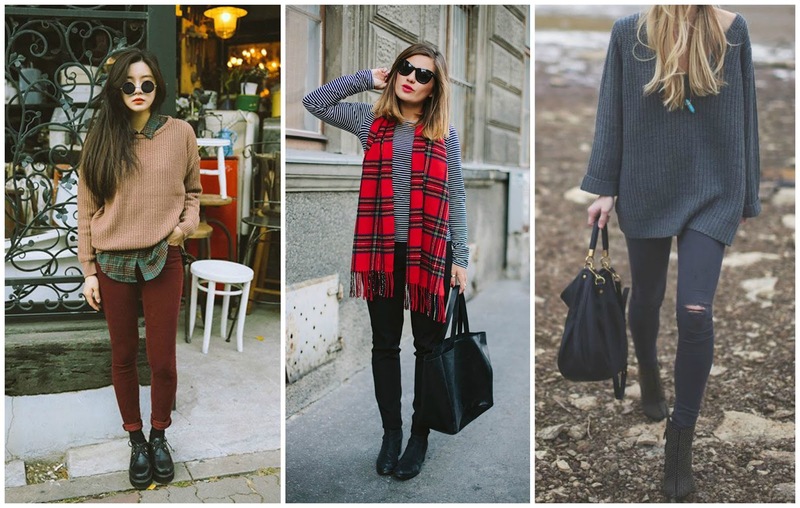 What's a staple piece in your Autumn wardrobe ? What's your favourite thing about Autumn ? I have often been told that I'm very hard to buy for. I never understand this, because I like so many things. I'm also extremely grateful for anything anyone gets me but I do tend to have bad reactions to gifts. Let me explain, since I was very small I have always preferred giving gifts rather than receiving them, not because I don't like presents but because I love seeing peoples reactions. I know that when I receive a gift, people want me to have a great reaction and love whatever it is they've bought me. Nine times out of ten I am absolutely over the moon but because I'm very conscious of the fact that they're waiting for a great reaction, I feel under pressure to have a great reaction. I know this probably sounds silly to some people but it's just how I am. I much prefer getting a gift, opening it on my own and then going and thanking the person. Anyway, as a result of this, I tend to just not have any reaction what so ever. I don't know why really. But I guess that's why people think I'm hard to buy for. So with my birthday coming up and Christmas not too far away (and yes I am not afraid to say the C word in September) I put together a wishlist of things that I would absolute love for those in my family who struggle to find something to buy me. I do not expect anyone to buy me these things, I'm just giving them the option. So that's what's currently on my wishlist, what's on yours ? So I'm back to college full time this week and I am super excited about it. I love college, seeing all my friends on a daily basis as well as doing some really cool projects. I love the start of a new semester. It's a fresh start and with every fresh start comes new goals. I always love setting goals and targets and I thought I would share some with you today. Attend all my lectures : A place I and so many other students fall down on is actually going to all of my lectures. I am going to try my absolute best to attend every single one of my lectures this semester. Get really good grades : I'm in second year now and my grades really start to matter. In UL, after your first year, your grades don't go towards your degree as long as you pass. I think this is actually brilliant because it gives you a year to kinda go mad and not be under extreme pressure again right after your leaving cert. So my grades have been wiped out and from now on they actually matter. Study study study : I was always a procrastinator. In the last year however I have actually gotten a lot better. Maybe it's because I'm just so busy now that I don't have time to mess around and leave things to last minute. So my plan is to study from the get go rather than cramming like a mofo on study week. Get fit : A lot of you will know that I've recently started seeing a Personal Trainer in the hopes of shifting some weight and being healthier again. I would love to be fitter and lighter for Christmas. 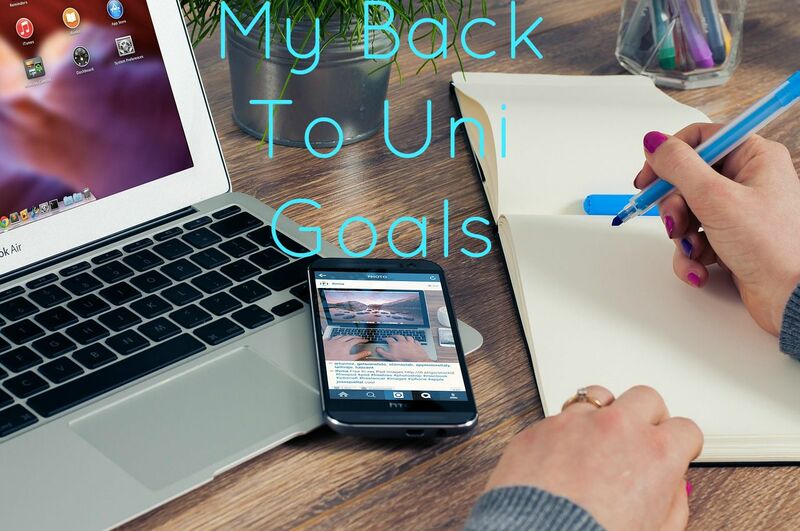 Not get burnt out : Because I'm now working full time as well as being a full time student, as well as blogging and vlogging, I am trying my absolute best to not burn myself out. I'll be putting some new rules in place for myself, like no working after 10pm, take one night completely off a week, things like that. SO they are some of my goals for this semester. Has anyone else set new goals recently ? My favourite season is back and I am just loving it! 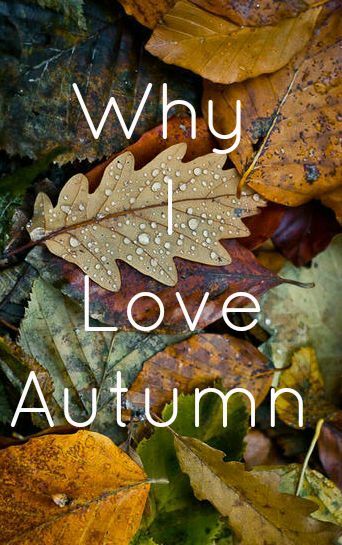 I have a post coming up on Wednesday on all the reasons I love Autumn. 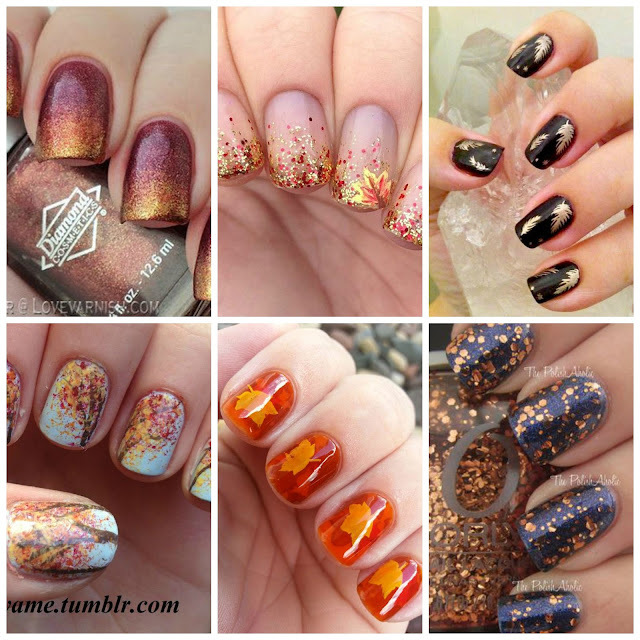 SO just like last year, I'm sharing some autumn nail inspo from Pinterest. These are some of the beautiful looks I came across and I can't wait to try them. Some of them are of course easier than others, but with all of the YouTube tutorials and plenty of practice, I'm sure we can pull some of these looks off. What are your favourite autumn nail colours or looks ? Let me know in the comments! 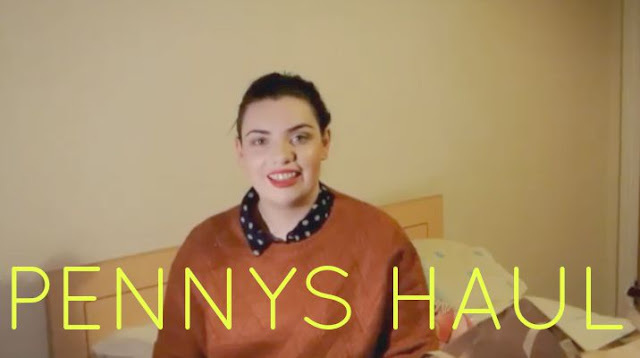 Last week I got some brilliant news, I was shortlisted for two categories in the upcoming #bloggies2015. I honestly can't believe it and I'm over the moon. This little blog has come so far in the last year. 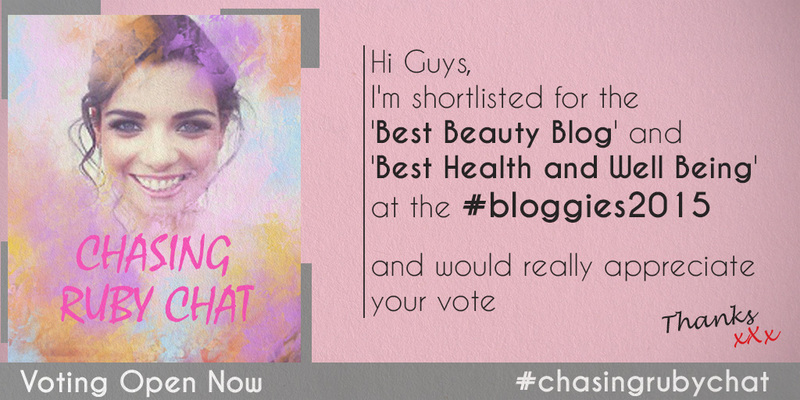 I was shortlisted for the 'Best Beauty Blog' and best Health and Well-being Blog'. I am beyond honored to be in the same category as some of my blogger idols. Thank you so much to everyone who has read my blog, left a comment, tweeted me and snapped me. It makes me so unbelievable happy! I love face masks. I always have. I love pampering my skin and always feel really happy when I apply a face mask. You may or may not know that I have and suffered with acne for years and still do, so for me face masks are an absolute essential in my skin care routine. This is the Mask of Magnaminty from Lush and oh my god it is amazing. Along with having acne I also have sensitive skin, so finding an exfoliating face mask that doesn't aggravate my skin is super hard. This mask was made with acne prone skin in mind. It's very cooling and has some great ingredients like Honey, Glycerine, Primrose Seeds and Peppermint Oil along with many other. All of the ingredients are 100% natural and made by the Lush staff right there in the store. To use it, I usually cleanse my skin, then apply the mask for about 15 minutes. It is recommended to leave it on for 10-15 minutes but I often leave it on for up to 30 minutes. Then I use warm water to gently scrub it off my face (as it dries hard after a few minutes). Even though it is an exfoliating mask, it's very gentle. My skin always feels super soft after I wash it off. Afterwards I apply toner, facial serum and finally my moisturiser. I definitely think this mask does great things for my skin. I've used it about 2 to 3 times a week for over eight weeks now and I've actually repurchased a new one (which is in the picture above). I really really love it and I love the smell of it. It smells like chocolate mint aka it smells delicious! If you have acne or blemished skin, I'd definitely recommend checking out this face mask. It really is amazing and in my eyes lived up to all the hype that I'd heard about. It's very affordable, this small pot is about €5/€6 for 125g but you can get bigger pots which are about triple the size of this one for about 12/15 euro. Amazing value for such an incredible product! 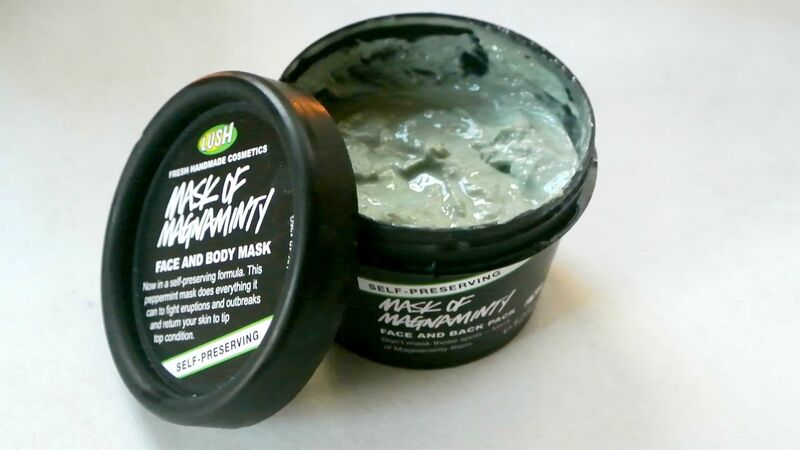 Have you ever tried Mask of Magnaminty ? What's your favourite face mask ? I have tried to write this post about 10 million times, but could never put my thoughts and feelings into words. I don't think I ever will be able to elegantly word it so I just left all of my feelings scrambled and unorganised. 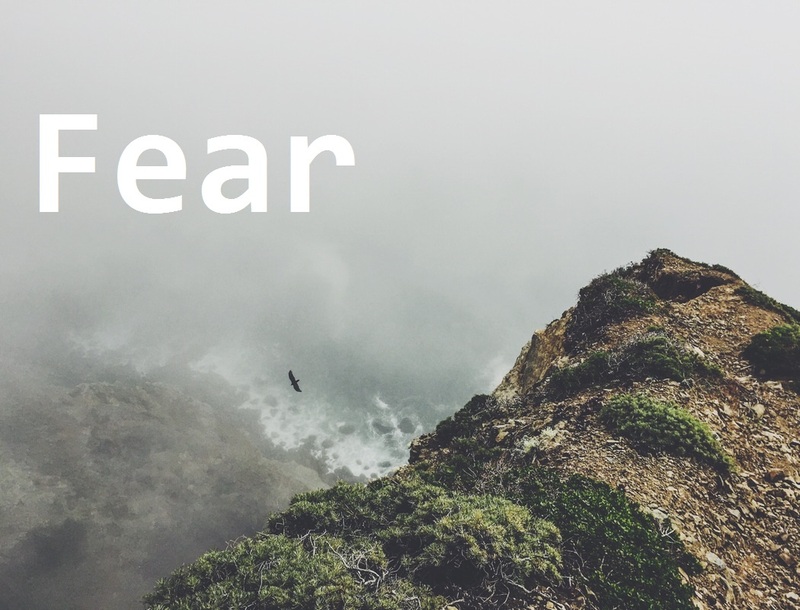 I know my fears might seem insignificant to some, but that doesn't mean it's not a massive deal to me. I'm not 100% sure why I'm even sharing this but I think maybe, just maybe if anyone else has the same feelings, you might feel a little bit comforted by the fact that you're not alone. Where are the days when all I was afraid of was the boogie in my wardrobe and the monsters under my bed ? Why can't my mam and dad swoop in and chase them away like they did when I was small ? This whole being an adult thing is really hard. Recently I've found myself being afraid again, but this time it's not the monsters under my bed or the boogie man in the closet. I'm afraid of failure. I'm afraid of being judged. I'm afraid I'm not good enough. I mentioned on snapchat (chasingrubychat) that I've never shared this blog or the fact that I'm a blogger/vlogger on my personal Facebook page. I've wanted to and nearly did share it numerous times, but there was always something that stopped me and held me back. I never knew what it was, I thought it was my gut telling me it's not the right time but as the days, weeks and months go by, I've realised there's never a right time and that 'gut feeling' is just fear. Why am I so afraid ? I have no logical reason. I guess I'm afraid of what everyone will think and I'm not sure why I care about what they think really, because all my friends and family know about this blog and my YouTube channel. So why do I care about the opinions of people I knew three years ago? I don't know, I don't know why their opinion of my life matters so much to me. My blog is my comfort zone, it's where I'm happiest. I find writing to be very therapeutic. When I'm going through a tough time, I blog and it always makes me feel better. My blog is where I feel comfortable being vulnerable. So do I really want to open that up to everyone I know ? The reality of it is people I know are finding my blog, my YouTube, my twitter, my snapchat etc. every day now. I can't stop them finding me, so why do I keep resisting it and potentially stopping myself from being successful. Am I standing in my own way ? I am really proud of this little blog. I am proud that I have stuck with it. I'm proud of how much it's grown. I'm proud of how much it has helped me deal with things. I'm proud that this blog landed me a dream job. I'm proud that in less than a year I've been shortlisted for not only one but two Irish blog awards. I'm proud of the positive people I surround myself with thanks to my blog. If I'm so proud of myself, why can't I be confident to showcase my achievements ? I am super excited that it is now September and seen as it's back to school season, I thought I would put together some tips and tricks for all incoming freshers (new uni students). I hope you find this video helpful in some way! If you have any tips or tricks that you'd like to share, leave them in the comments below!